Every region that has seen human habitation has ruins that it can call its own. From Stonehenge in England to the Pyramids of Egypt. 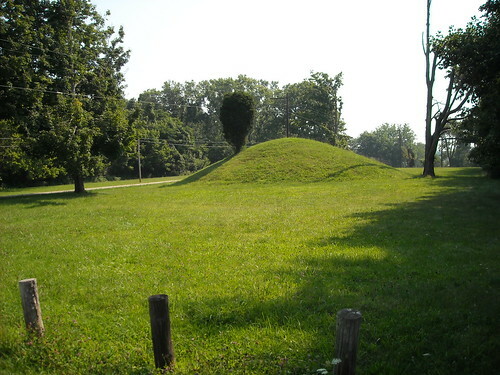 The Ohio valley and the Midwest certainly prove this rule with the Indian mounds left by the Hopewell and Adena Indian cultures. 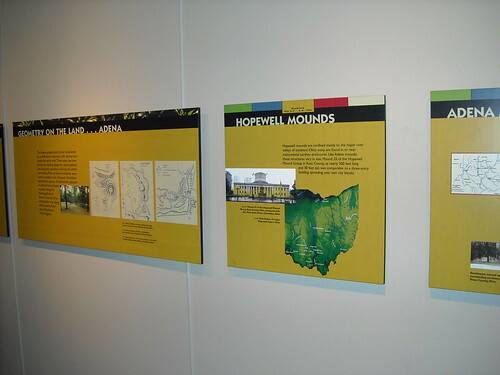 We took a day and went to the Fort Ancient Historical Site in SouthWestern Ohio. Spent the morning hiking around the site and the afternoon visiting the museum. 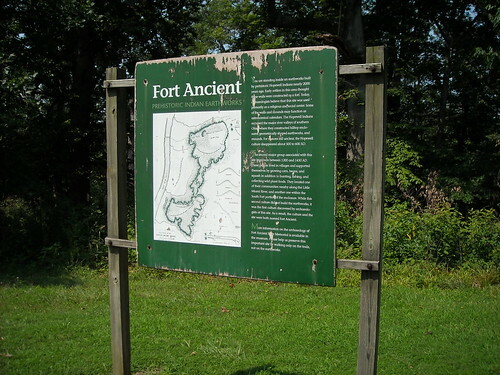 Fort Ancient features 18,000 feet of earthen walls built 2,000 years ago by American Indians who used the shoulder blades of deer, split elk antler, clam shell hoes and digging sticks to dig the dirt. They then carried the soil in baskets holding 35 to 40 pounds. Portions of these walls were used in conjunction with the sun and moon to provide a calendar system for these peoples. 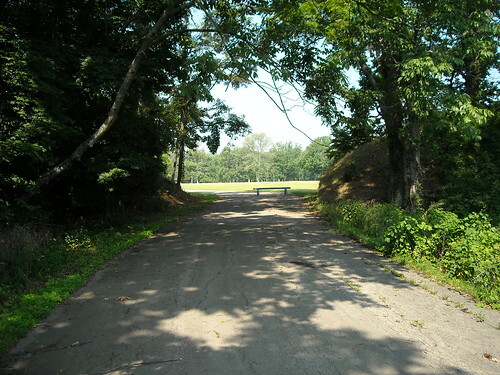 When you enter the Park the county road drives right between the two “Twin Mounds” at the entrance. 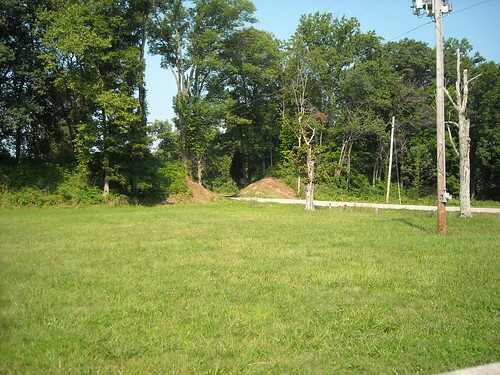 The enclosure is so huge and so overgrown that it is hard to get a feel at times for just how big it is. it is amazing to think that the the trees found growing on the mounds by the settlers and early explorers were over a hundred years old but there six or seven generations of trees that had grown there. The museum is very well done with a nice garden showing the typical crops grown by the Hopewell Indians who made their home here and built these mounds. The muddaub hut was amazingly cool inside. 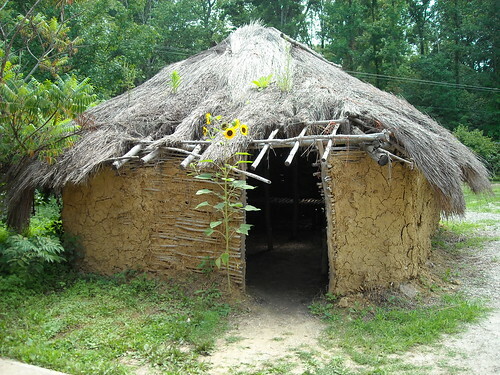 It was close to 90 outside and yet it felt like it was a cool 78 inside the hut. More pics at my flickr set.